A Polygraph Test on its own without any reason is ineffective. For example: The director of Company ABC thinks one of his employees is stealing. He wants to test the entire workforce to find the culprit. There must be a reason for conducting a polygraph test. For example: The director of Company ABC thinks one or more of his employees are stealing due to stock losses identified during a stock take resulting in loss of revenue for the organisation. Conducting random Polygraph testing will scare off loyal committed employees due to unwarranted accusations. The following circumstances need to be taken into account when considering Polygraph testing. Formulating of polygraph questions are important and the outcome needs careful consideration. It is important to remember that answers to the questions should be limited to yes and no. Control questions and questions relevant to the incident will be asked. Do you think the current systems and procedures for stock control and or security is adequate. 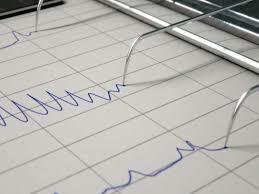 The objective of the Polygraph is to assess whether the subject is telling the truth when certain questions are asked. The subject being tested is required to complete a consent form giving permission for the test and stipulates who may view the results. The Polygraph examiner must explain the reason for the polygraph together with the process to be followed. It is imperative that the subject understands which questions will be asked and what the relation is to the incident. When taking the test 4 – 6 sensors may be attached to the body of the person body being tested. A movement detector which is placed on the seat. Occasionally arm, leg or body movement may also be recorded. The multiple (Poly) sensors attached to the body will send signals to a moving paper (graph) or digitally records the results. The Polygraph examiner asks the questions as discussed and the subject is obliged to answer. Once the sensors have measured the results of question one, the Polygraph examiner can move to the next question. The list of questions will usually be asked twice to account for any variables. The Polygraph examiner can check the results at anytime during the test and does not need to wait for the test to be completed. The results from the polygraph test in conjunction with the circumstantial evidence are used to identify the merits of an incident. Yes, anything is possible. However, it is extremely difficult as there are multiple sensors measuring at the same time. MANY hours of training would be required to beat the system. Can the results be faulty? Yes, it is also possible. The formulation of questions may be incorrect and or the examiner can read the results incorrectly. (This is unlikely but human). What can Polygraph tests be used for? Read our next post to find out more about Voice Stress Analysis Tests.